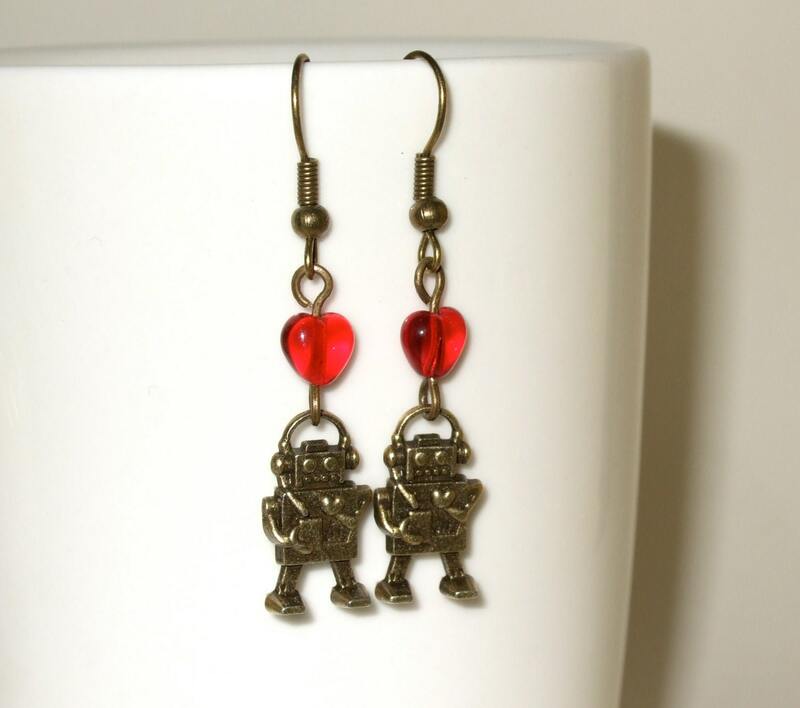 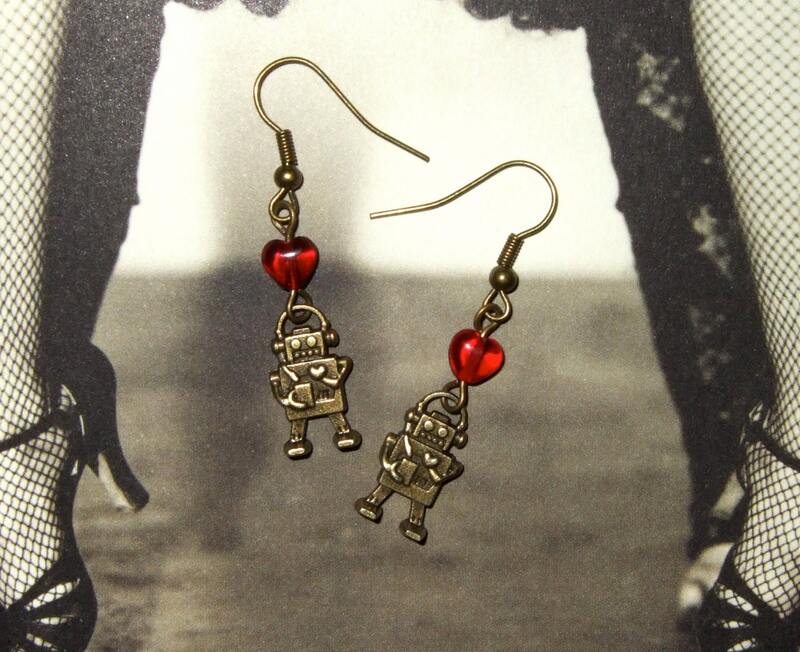 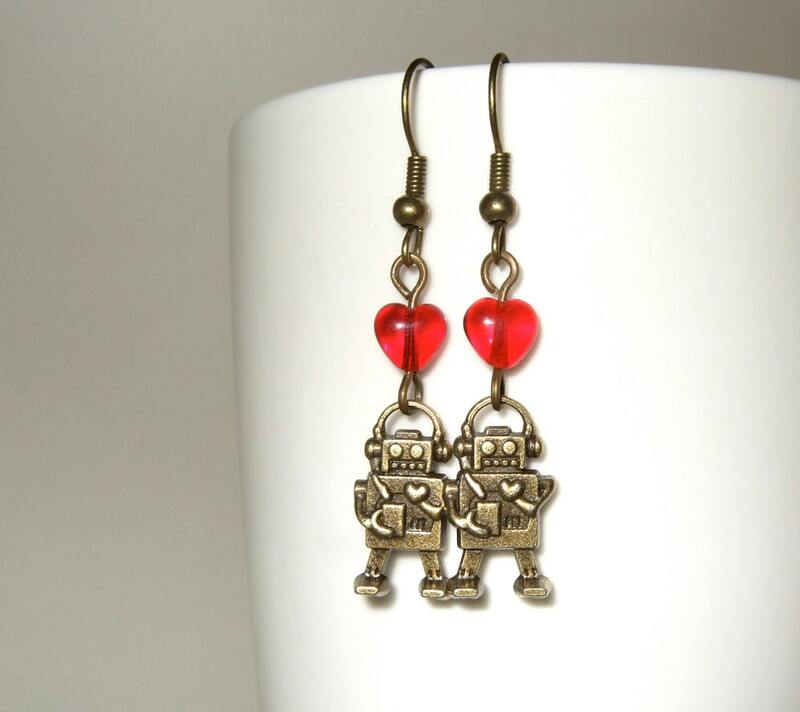 Cute robot drop earrings ~ comprising an adorable robot charm topped with a red glass heart, dangling from an antique bronze plated earwire. 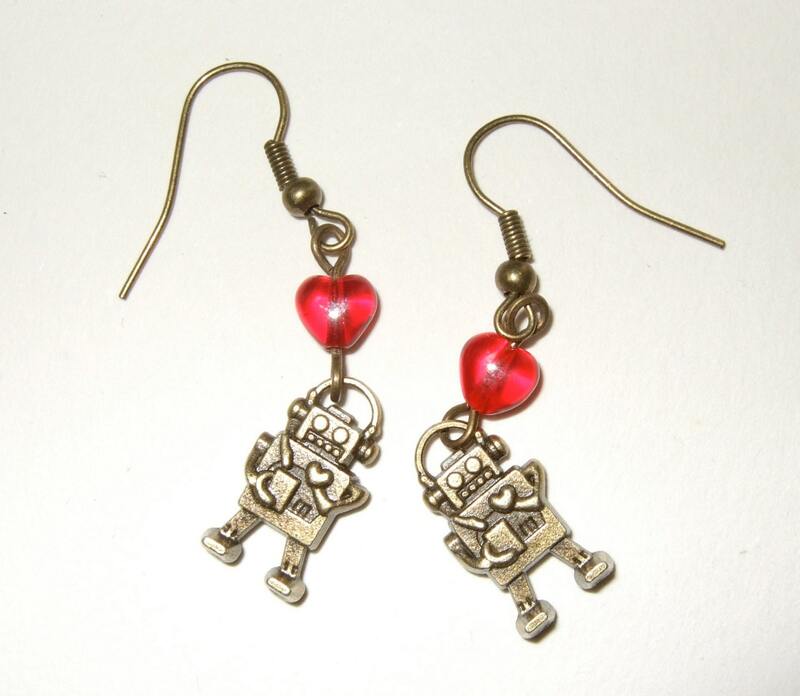 Each robot charm is just over 0.5"/1.5cm tall, and the overall drop from the top pf the earwire to the bottom of the robot is 1.75"/4.5cm. 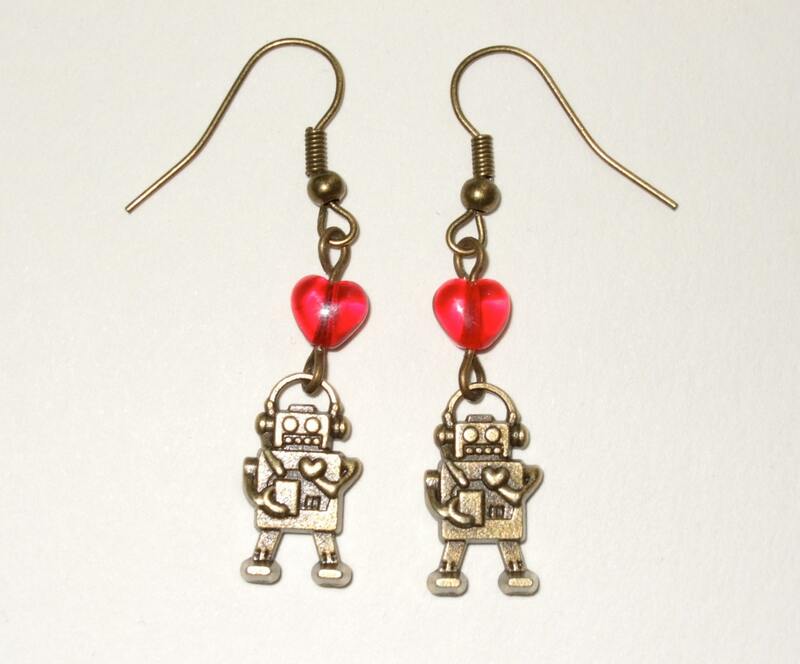 I knew they would take over one day, I just didn't realise they'd be so CUTE!